Intel is bringing out its Intel i7 Broadwell-E. What coolers and heatsinks should you use for one of these beasts? The Intel i7 is a Broadwell-E on a 14nm process, with a TDP of 140 watts. The chip will arrive with options for 10, 8 or 6 cores. 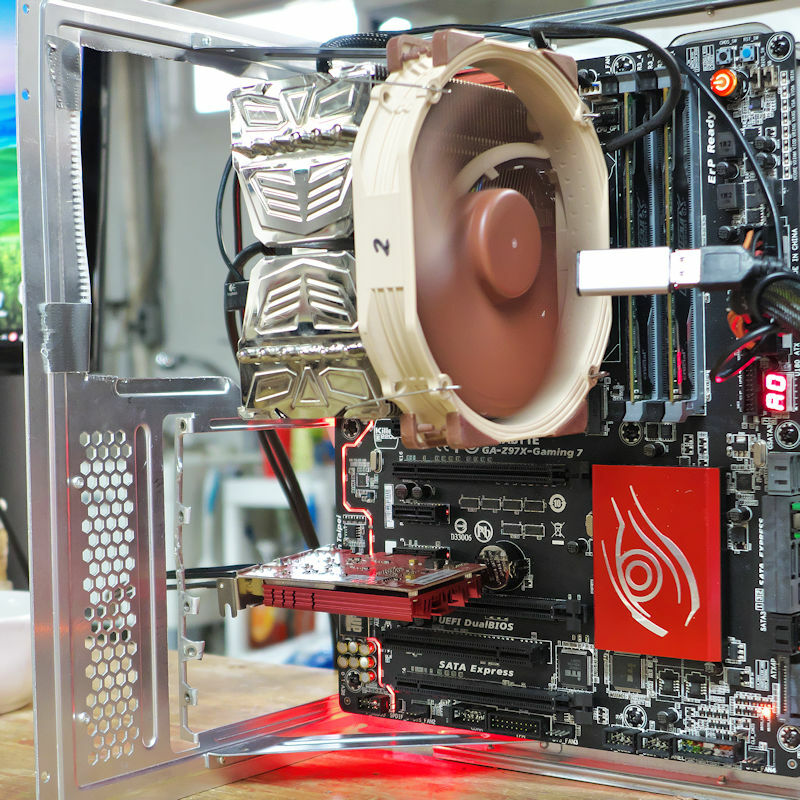 Joe Shields (Earthdog) has done a review of the i7-6950X Broadwell-E chips under his custom cooling loop. However, this summary will review some of the coolers you should consider for your new chip from an air cooling and AIO standpoint. The TDP of the Core i7 69xx and 68xx, the Broadwell-E, is 140 watts. If past practices are any guide, Intel will use solder between the CPU silicon and the IHS. That means systems built on the Broadwell-E will not be throttled by their own TIM. They will be throttled by the absolute capacity of their heatsink and water systems to shed heat. My test system averages 135 watts or so, with peaks above 140 watts. So coolers that keep such a system in check would be suitable for your system. One thing we must keep in mind, though, is the absolute ability to shed heat. As well as the smaller coolers might perform, it is the larger coolers that will be able to shed this CPU’s heat. We will start with a “recommended” list. We will then examine each of the recommended coolers. 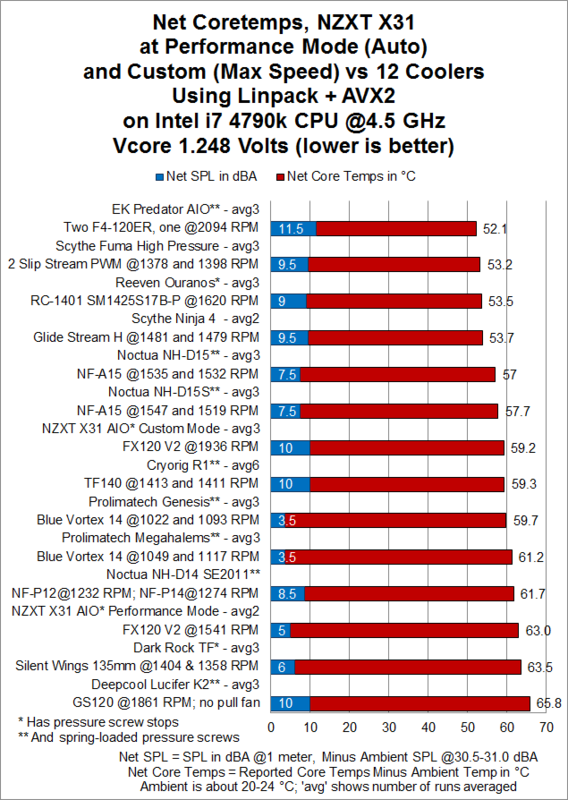 The EK XLC Predator is at the top of the list because it is the best cooling devices my system has ever encountered. Click here for our review on 11/6/2015. One very interesting and very important aspect of this AIO is that it is not only available in the two-fan size (240mm) you see above, but is available in a three-fan version (360mm). Here is where the capacity to shed heat comes to the fore: their two-fan Predator 240 cools their 5960K system to 46.43 °C, where the three-fan 360 mm Predator 360 cools that system down to a net of 42.15 °C. 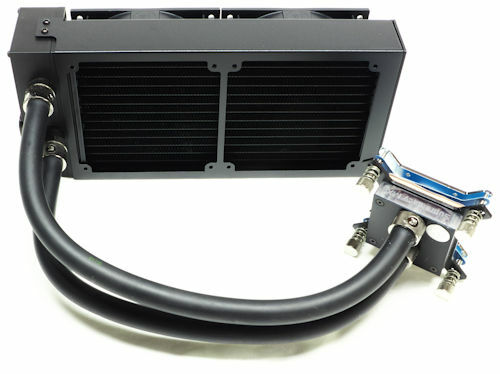 There is not any difference between the two AIO’s in their ability to move heat from the CPU to the radiator. However, once it hit the rad, there is more opportunity for the heat to escape. The two-fan EK Predator will fit in a number of cases. The three-fan EK Predator requires a rather special case. Examples include the fractal design Define R5 reviewed here. Although not explicitly tested with a 360 mm rad, the Nanoxia Deep Silence 6 and the Phanteks Enthoo Primo appear to accommodate 360 mm rads like the Predator 360. For compatibility, check with the cooler OEM and the case OEM to make sure your cooler will fit in your case before you buy them. The NH-D15S was specifically made to accommodate a graphic card in the top slot. It is an NH-D15 that has been moved over a centimeter to leave room. 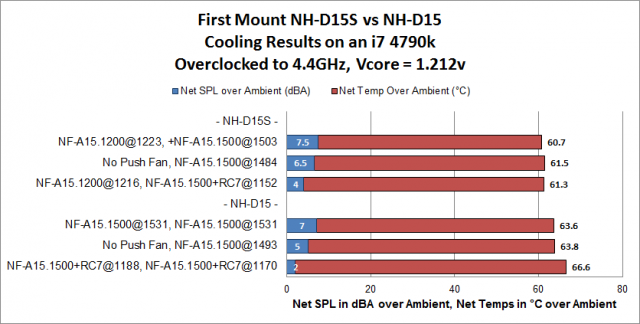 It is an asymmetric heatsink that is otherwise the same as the NH-D15, except for the fact that it comes with a single fan. When you examine the result chart, you notice that the NH-D15 and the NH-D15S were the top two heatsink finishers in the double-asterisk derby. Double asterisks means that the cooler not only had thread stops to keep you from over-tightening, but also had mounting pressure applied by springs, to limit the amount of force being applied to the CPU by the contact plate. With Broadwell-E using the same thinner PCB as found in Skylake, you may want to consider coolers like these. If not, just be careful! One aspect of the NH-D15S that I checked with Noctua. According to their results, a second fan makes little difference. My results confirm that. Further, you can buy a second fan (the NF-A15 retail runs about 1200 rpm) and put the middle fan on LNA (nominally changing it to 1200 rpm), you will run the whole system quietly and cool about as well as you did with the stock fan. We reviewed the NZXT Kraken X31[link to be supplied]. It did reasonably well, but that is not the NZXT AIO I would recommend for the Broadwell-E. The single-fan X31 is running up against its capacity to shed heat, IMO. It seems to move heat within itself just fine, but it has trouble shedding that heat to air. I would instead recommend the Kraken X61. As NZXT says “Our 280mm radiator platform gives 36% more surface area over comparable 240mm coolers.” That will enable this AIO to have a greater capacity to shed heat. They use two of the wonderful FX140 V2 PWM fans for their two-fan radiator. Further, you can buy the FX140 V2 PWM fan at retail so you can put four on the rad part of your AIO. 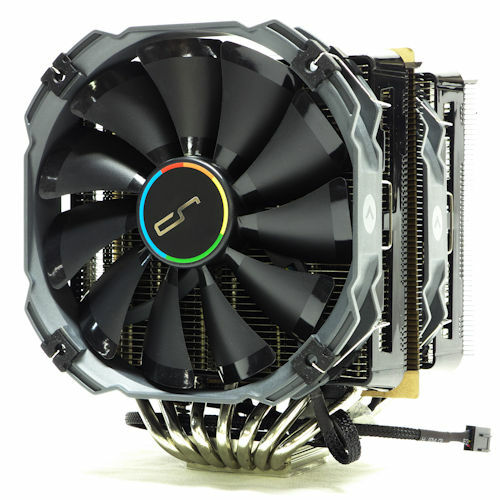 We reviewed the Cryorig R1 Ultimate heatsink. It did a fine job. More importantly, in addition to its having a flat contact surface (won’t damage your CPU) it had a safe mounting system, with threadstop and springs. This was a heatsink that came with no fans. So I put two Blue Vortex 14 on this for the chart. Now the Blue Vortex is the fan uses for their heatsinks and for cases. These ran a little more than 1000 rpm. Yet the Genesis puts up so little wind resistance that when I put two 1500 rpm NF-A14’s on it, the cooling only improved half a degree. So you might as well use a quiet fan. I would recommend two Thermalright X-Silent 140 fans for this task. They have “fluid” bearings and are very quiet, with comparable airflow. The last heatsink that I would recommend is the Prolimatech Megahalems. Here you see the modern Megahalems. The heatsink was originally for 120 mm fans. Then Prolimatech brought out version C, with shortened screws that allowed the user to employ 140 mm fans. Here you see a 140 mm fan used with 120m mm fan clips. In the chart above, the Megahalems was using Blue Vortex 14 fans that were running at around 1100 rpm. With a single Thermalright TY-143, averaging around 2500 rpm, the heatsink cooled down to 58.2 °C, making it a contender, but just barely. Though it was considered huge when it was introduced in 2009, the Megahalems may not have a big enough surface to handle an overclocked Broadwell-E. But if you have a Megahalems, it is worth trying this old stalwart before you go looking for a replacement cooler. The Problem with the Scythe Ninja 4, the Scythe Fuma, and the Reeven Ouranos was that all of them suffer from relatively small fin stacks, which reduce their ability to shed heat to the air. Because of their heavy clamping pressure, they could transfer heat from the contact surface to the fin stack well enough, and this explains why they did so well on my system, which sports only an i7 4790k. But to handle an overclocked Broadwell-E you will need a larger fin stack. For this reason, the Reeven Okeanos is worth a look. 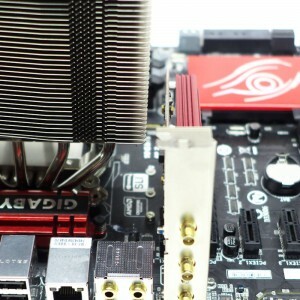 Even though the Deepcool Lucifer K2 performed last on the list of heatsinks, it is surprising that this cooler made it at all. This system presents a grueling challenge for heatsinks, and the Lucifer K2 was not supposed to be in the same league with the other heatsinks. But it made it. The mount was frustrating, but it has threadstops and spring mounting pressure to prevent overtightening/overpressue; so it was a safe mount. Based on the fact that it apparently has large enough fins, the Deepcool Assassin II is worth a look. However, it comes equipped with a 120 mm as well as a 140 mm fan. It will probably not reach its full potential unless you use two 140 mm fans with it. The Phanteks PH-TC14PE was a highly rated heatsink when it came out. Its reviews placed it as comparable to the Noctua NH-D14, and a little better. In its favor is a mount that is very similar to the Noctua mount, including threadstop and mounting pressure springs. The Thermalright Silver Arrow is slightly larger than a full tower heatsink, and requires a larger case than normal. It has been rated as performing comparably but better than an NH-D14. As a rule of thumb, a case that uses a 120 mm exhaust fan is large enough to hold a full tower heatsink, up to about 163 mm tall. Thermalright heatsinks like the original Archon and the Silver Arrow require larger cases. 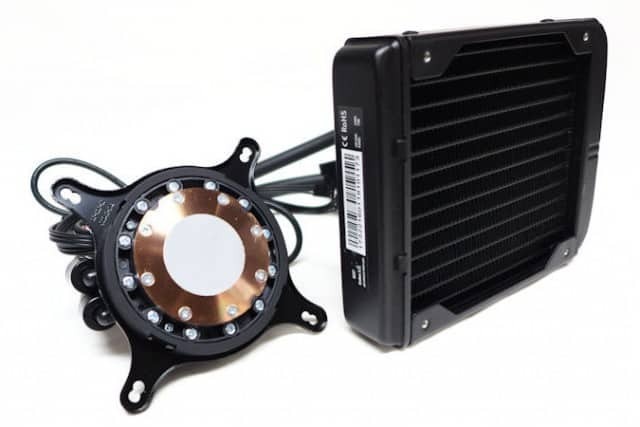 But still, if a case uses a 140 mm exhaust fan, it should accommodate one of the larger Thermalright heatsinks. 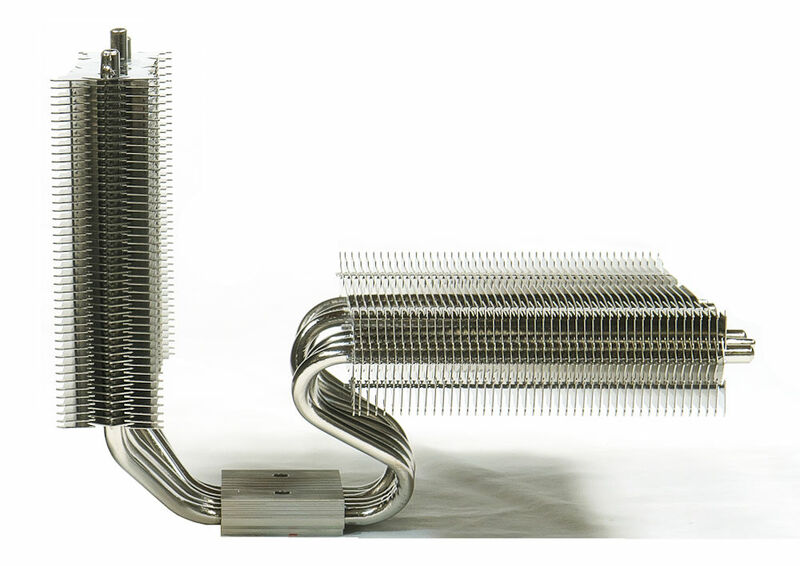 The current Silver Arrow heatsinks use eight 6 mm heatpipes and two TY-143 PWM fans, which operate at 2500 rpm. The large fin stacks and the high output fans mean that this heatsink should be able to shed a lot of heat. It should be usable for a Broadwell-E. If you are going to use air cooling, buy low profile RAM. Your RAM must be low enough that the bottom edge of your heatsink’s 140 mm fan can rest on it. With low voltage RAM, this should not be a problem. 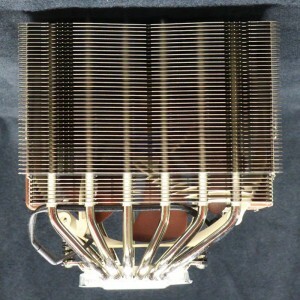 If you are intent on using RAM with tall heatsinks, don’t bother with air-cooling…or be sure to know your clearances! The Broadwell-E has more cores than other i7 CPU’s and has a higher TDP. The higher heat means your cooling solution must have a large capacity to transfer heat to the atmosphere. While a smaller capacity cooler may do well in testing that does not involve large amounts of heat, they will fail above a certain point. If your system produces more heat than that, it will get hotter. This means you should use larger heatsinks or AIO’s with larger radiator sections. If you are going to use air, go with low profile RAM. Only low profile RAM will accommodate 140 mm fans.